My word for this one is PI. I can’t talk about us being math geeks with FIBONACCI and not do my favourite number PI. 3.14159265358979… At one point I use to know about 20 digits by heart. 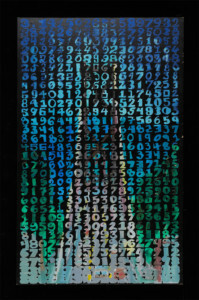 The picture below is an artwork I did in school with a PI theme. But this piece too FOREVER and was a solo project. So I wanted to do something a bit different for this PI project. I Googled PI and how to calculate PI to find some ideas about what to send Daria for this project. I found the wikiHow page on hot to calculate PI and it involve a lid, string and a ruler. I thought about sending her those things but then I found something a bit more fun. 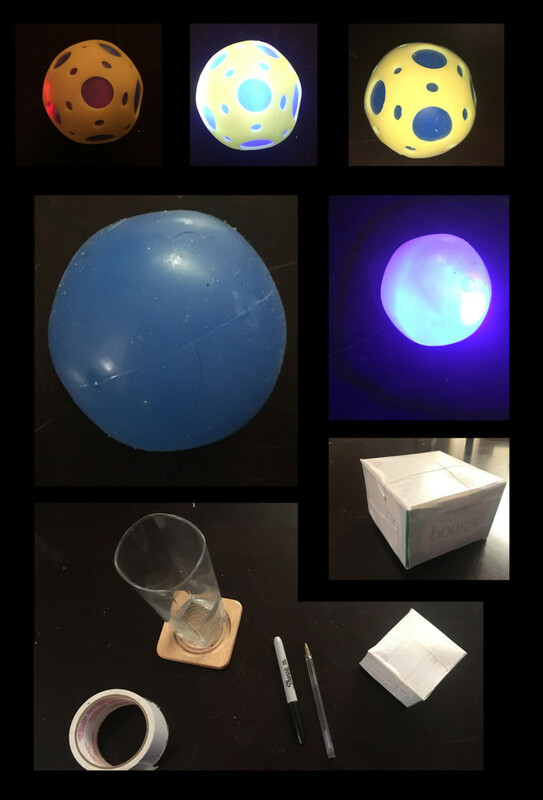 What I sent Daria for PI is a blue ball I got from the dollar store. 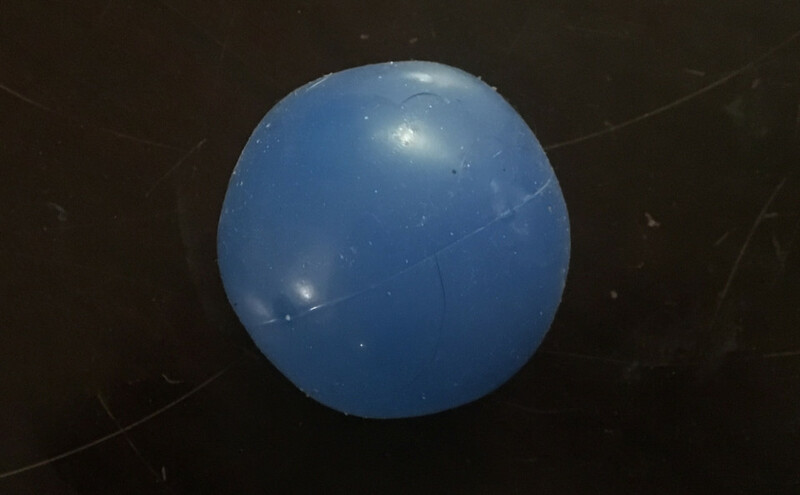 I didn’t want the ball to have an image or bar code on it, so the one I choose was solid blue, but did have a rubber layer over top of it. Fortunately I was able to remove it. 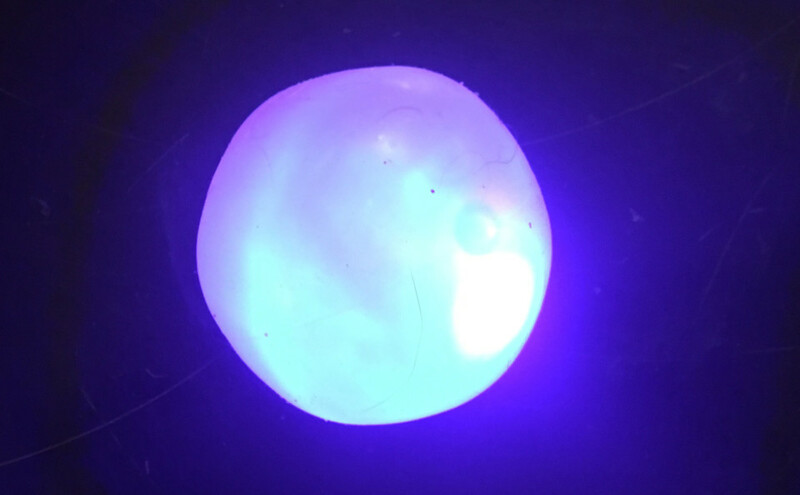 The fun thing about this ball (that I wasn’t really looking for) is that it GLOWS when you bounce it (FUN!). I know this toy was meant for a kid, but I still thought it was pretty fun to play with. 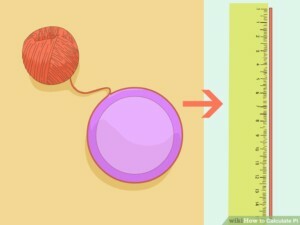 What I would do with this ball is ink it on it and bounce it against a piece of paper to mark up the paper. I would also film the process to watch the ball glow while it happened. I would be very surprised if Daria actually did this. She always seems to come up with something completely different, which is what makes this project so interesting. I do think she will guess my word though… but we will see !?! blue 11 from Elise Mullen on Vimeo.